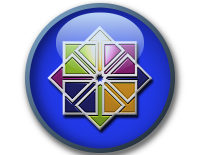 This is the continuation from the installation of SpaceWalk on CentOS 6. 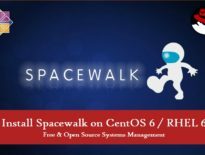 This tutorial is limited to show only how to configure the SpaceWalk to distribute the updates for the CentOS or RHEL clients, For more configuration you can find lot of online documents or come back here to find the same. Only those who would like to setup SpaceWalk to distribute the packages can follow this tutorial. This is the simple step by step tutorial, so i will only mention minimal settings to be done for distributing the updates. Once the installation is completed, access the SpaceWalk web based administration using browser. You will get the account creation window where you can enter the desired admin user and his information, this will be used for the SpaceWalk management. After completing the account setup, you will be redirected to the main window. Here you can see the detailed overview of each and everything that are related to SpaceWalk. Goto Channels –> Manage Software Channels –> Manage Repositories –> Create New repository (Here you can mention the upstream server from where your server will download the updated packages). Goto Channels –> Manage Software Channels –> Create New Channel ( This is where you can label your different type of architecture. Here i created label CentOS6_64 for CentOS 6 64 bit update packages, same like you can create label for other architectures and other Linux flavors, label name does not matter; only architecture is important while configuring). Goto Channels –> Manage Software Channels –> Select the created channel –> Repository –> Select the previously created repository –> Update repository ( Here you can link the repository to the channel based on architecture). Once updated, click on Sync and then click on Sync Now to start package synchronization from the upstream server. Once the package synchronization is completed, you can list the synchronized packages by going to Channels –> Manage Software Channels –> Select your channel –> Packages –> List / Remove. Goto Systems –> Activation Keys –> Create New Key ( Here you can create a activation keys for client subscription, in this page you need to select the base channel ( Your newly created channel). Whenever any client uses this key, the client machine will be automatically subscribed to the created channel. You can create multiple keys; in case you would like to use multiple channels). Note: Better to leave the key blank for automatic generation. You can get the activation key by going to Systems –> Activation Keys. The next tutorial will be on configuring client to use SpaceWalk server for updates.